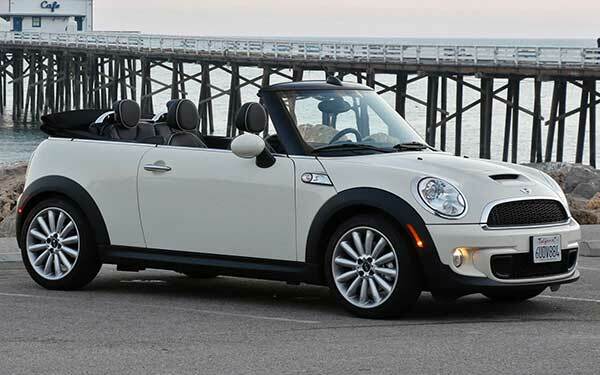 Mini, stylized as ‘MINI’, has a long history that can be traced back to the early 1950s. It is a car that has gone through decades of changes and innovations to finally become one of the best selling compact cars the world. The history of Mini started with the collaboration between two key players in the British automotive industry namely – the Cooper Car Company and the British Motor Company (BMC). Let’s dive deep into learning more about the Mini Logo, their company’s history, and their current car models. The car was originally conceptualized as an answer to the issue of fuel shortage and the call for more efficient cars suited for city driving. Reports even state that an engineer at BMC had a dream that a small car be placed outside the house of every working person. This idea and task of creating a new car was eventually given to Alec Issigonis in 1957. British Motor Corporation wanted Alec to produce a smaller version of their own vehicles, but he had his own ideas. He knew that if he were to build a car that would revolutionize the car industry, he would have to do better than copy others on the market. With a limited budget, he often sketched engineering plans on the back of envelopes. Upon significant research, Issigonis set a goal to have a car about ten feet long only. Therefore, he soon began experimenting and went on to produce an impressive prototype. However, the only issue was that for a car that was only four feet two inches wide, the engine and gearbox would be too long to fit in the space available. This is where Issigonis made a quick decision, with time running out, to mount the gearbox underneath the engine. This had never been tried before, but surprisingly it worked! And this led to the creation of the Mark I (Popularly known as MK1), which was linked to other brand names of BMC including the most popular, Austin Motor Company and Morris Minor. Following its huge success in 1959, MK1 was first marketed as Austin Se7en, which was available in 2 models, Basic and De Luxe. Soon after, Morris Minor marketed the MK1 as Mini-Minor, which was also available in Basic and De Luxe models. 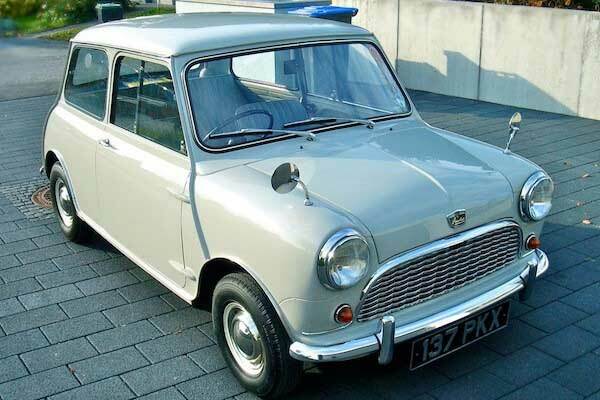 However, since Morris went with the original name of the car, ‘Mini’, its vehicles were selling more than the Austin Se7en from Austin Motor Company. Therefore, in order to continue with the ‘Mini’ heritage, Austin too renamed its version later on. The MK1 was in production from 1959 to 1967 and numerous versions were created based on the same model. Some of the best included the Morris Minivan, Austin Se7en Pick-Up, Austin Mini Countryman, Morris Mini Moke, and Morris Mini-Cooper ‘S’. By 1967, the long-awaited Mark II Mini made its debut at the British Motor Show. The Mark II became an instant hit among the crowd and looked exceptionally amazing with a redesigned grille, larger rear window, and other small cosmetic changes. A total of 429,000 Mark II Minis were sold within just three years. 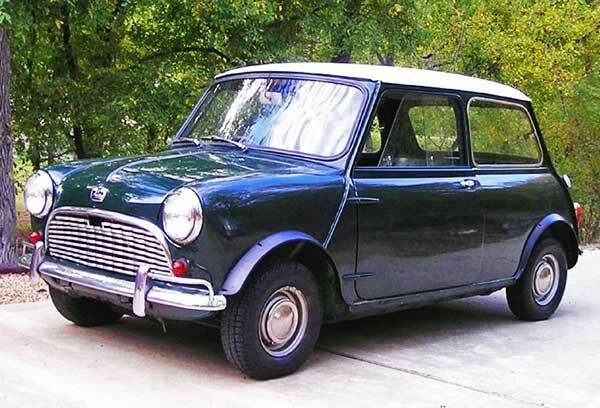 Similar to the first model, Austin and Morris both continued to produce their own versions of the MK II and this led to the creation of the famous Mini Clubman, Mini Clubman Estate, Mini GT, and Mini 1000. Additionally, the Mark II was also made available in four different body styles, such as 2-door truck, van, estate, and of course saloon. By the 70s, production of the famous Mini 1275 GT and Clubman began and numerous limited edition models were also manufactured. However, the Clubman and GT models were only available in 2-door estate and 2-door saloon body styles, as the design was too beautiful to be used on trucks or vans. Till the end of the 80s, Mark III and IV were also manufactured. However, the production of the Mark III could not last long. Regardless, the Mark IV was also a hit and featured numerous changes not seen in MINI cars before. These included 1275cc power units and numerous styling and design changes. Throughout the 80s, numerous special editions of the Mini were also released in the British market. Therefore, this shifted the Mini cars from a mass-market item into a status symbol, with celebrities driving around in their compact cars of flashy colors and vinyl. In 1984, the Mark V was released and six years later, the Mini made a huge impact on the Japanese market with the introduction of the Mark VI. Throughout the 90s, numerous models of the Mini Mark V1 were created. Some of the best included the Mini Check Mate, Studio 2, Cabriolet, Neon, British Open Classic, Italian Job, Sprite, Mayfair, Rio, Tahiti, Monte Carlo, Mini 35, Cooper Grand Prix, Sidewalk, and Equinox. By 1996, the Mark VII was finally released, which was the final version o the original 2-door mini. By 2000, Mini had dropped the MARK from its new cars. A year later, the Mini Hardtop was introduced, which was available till 2006. 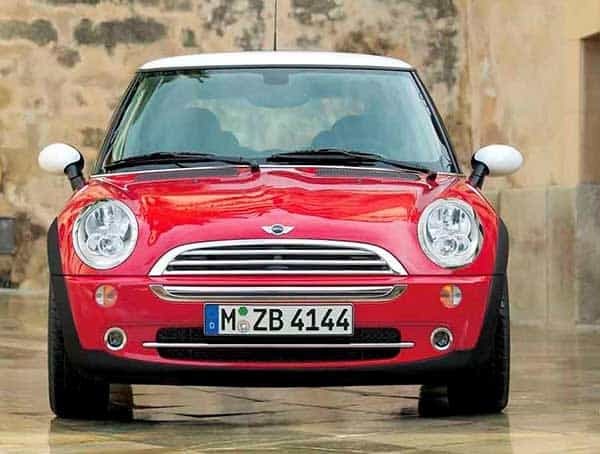 In 2005, the Convertible, or Cabrio Mini, made its debut, which was in production to 2008 and over the years new models, such as the Mini Countryman, Mini Coupe, Mini Roadster, and Pacemen, were introduced. Ever since its inception, the Mini Marque has been under five different ownerships: British Motor Corporation (1959-1968), British Leyland Motor Corporation (1968-1986), Rover Group (1986-1988), and British Aerospace (1988-1994). Regardless, the Marque still managed to stay strong and is now exists as the official small car automotive marque of BMW. Every since BMW took over production in 1994, more than 1 million MINIs have been sold. 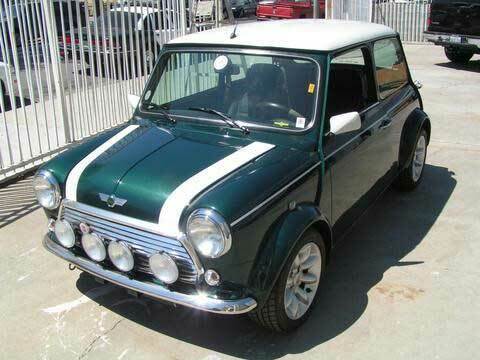 In 1991, the Mini Cooper was named ‘The Greatest Car of all Time’. MINI, one of the best small car brands, was launched in 1959. Even after gaining success, the company has never been independently managed. All four members of ‘The Beatles’ owned Mini Coopers. As you can see in the MINI history, the marque has been successful since the beginning even though it has never been under independent management. In fact, in the 90s it became so popular among movie stars that it even made an appearance in the ‘The Italian Job’. If you liked reading about this post, you might be interested to view other car logos and learn about those automakers too.